When it comes to the most effecitve and the strongest power washing service, D & D Painting has been serving Northern California since 1987. We use the best equipment with the strongest pressure to do a deep effective cleaning. 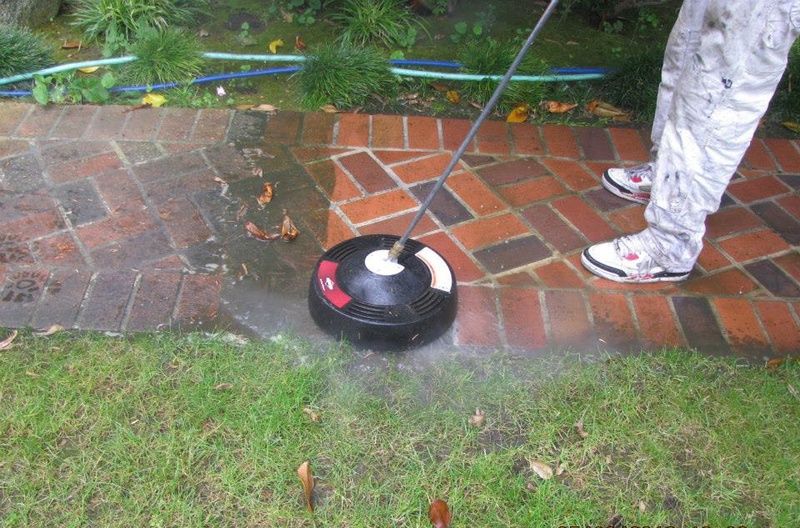 Our highly skilled and trained technicians provide residential, commercial and industrial application power washing. Our prices are very affordable and our products are environmentally safe. We also clean up afterwards and make sure the area is clean and safe. It stands to reason that the outside area of your business and your home are important to the overall appearance. Clean exterior areas, including walkways, garage doors, exterior walls and driveways, give a neat and tidy presentation while at the same time limiting the amounts of dirt and debri that finds its way inside. D & D Painting is a California state licensed contractor that has served hundreds of clients over the past four decades. Service Areas include, but not limited to: Hayward, Castro Valley, San Leandro, San Lorenzo, Alameda, Oakland, San Ramon, Fremont, Newark, Pleasanton, Concord, Dublin, Alamo, Lafayette, Orinda and Moraga, San Jose, Santa Clara, Campbell, Los Gatos, Saratoga and South San Francisco. We cover the entire Alameda Contra Costa, Santa Clara counties and parts of San Francisco and the peninsula. Before you choose a painter, make sure you get all of your questions or concerns answered. In this eBook, we discuss everything you should look for to make sure you are dealing with a reliable and trustworthy contractor.